If you purchase just about any set of brake pads or shoes, the end of the part number starts with the letter “D,” followed by the same three of four digits. This number might be the same for all the brands you see. This isn’t an accident or OEM conspiracy. This is the product of more than 60 years of cooperation among brake-friction manufacturers. This collaboration is the Friction Materials Standards Institute (FMSI) and the FMS number system. The fruits of this endeavor go beyond part number. The system has given shops new brake applications sooner and at a lower cost. It also allows aftermarket brake applications to match OEM designs and features such as mechanical attachment. In 1948, FMSI launched as a trade association of automotive aftermarket friction manufacturers. Since that time, it has performed a valuable service for the automotive aftermarket: the creation of a standardized part-numbering system for brakes and clutch facings. During the post-World War II period, the friction-material industry was facing a tough situation as the postwar economy started to boom and the automakers were rolling out the first brand-new models since 1942. In response to this difficult marketplace and an explosion of new applications, suppliers of aftermarket friction products banded together to form the FMSI. 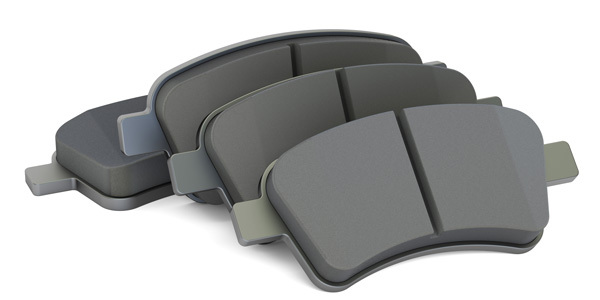 Brake-friction products are about the only parts category in which the majority of manufacturers work together to develop a voluntary nomenclature for part numbers and a way to share information. Not even manufacturers of tires, spark plugs or chassis components have been able to form a similar group. The primary mission of the FMSI is to maintain and enhance this standardized part-numbering system for all on-highway vehicles in use in North America. Not only do the manufacturing members have the right to use this system, but their customers who sell the parts do as well. This means that from the manufacturer through the parts store and repair shop, one part number is used as the standard and as a common language – the FMS number. The FMSI does more than just issue part numbers. The organization also helps to share new friction-material information among its members. This includes scientific, engineering, technological, statistical and other relevant information. Every time an automaker turns out a new platform, the FMSI builds a profile on the application. For a new application, the information includes the physical dimensions, hardware and how the application is put together. Within the profile, the information includes the OE part number, edge code and other information that can be collected from the OE sample part. The profile also includes if the stock pad uses mechanical attachment methods on the backing plate. Members of the FMSI can use this information in manufacturing and managing their catalogs. Membership in the FMSI is open to any manufacturer of friction and related products covered by the trademarked the FMSI and FMS part numbers. This includes the companies that supply backing plates, hardware and shim materials. Other participants in this industry may be eligible for licensee membership. Due to the global nature of today’s friction-material industry, the intellectual property of the FMSI is coming under attack from non-members. The most common violation is to use the FMSI catalog information without becoming a member. Both “FMSI” and “FMS” are registered trademarks of the Friction Materials Standards Institute. These marks have been registered in most of the important automotive aftermarkets in the world. The FMSI also has trademarked various part numbers that make up its standardized part-numbering system. All dues-paying members of the institute are authorized to use, within specified limits, these marks in connection with the order, purchase, offer or sale of friction materials identified by part number and drawing promulgated. In order to protect the FMSI’s intellectual property, the institute is going after not only the violators but also the suppliers that purchase the products, by issuing cease-and-desist orders. The FMSI says it will vigorously enforce its rights against any unauthorized use of its trademarks and copyrights. When you consider that often the brake pads are replaced before any other part – including the tires – the most important advantage the FMSI gives is to shops and consumers in the form of price and rapid availability of new applications. In most industries, each company must perform this service by themselves at a substantial cost.